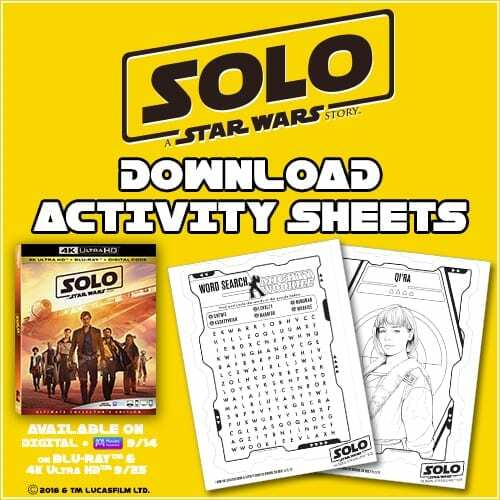 If you haven't gotten your copy of Solo: A Star Wars Story, it is available now on Digital and Blu-ray! 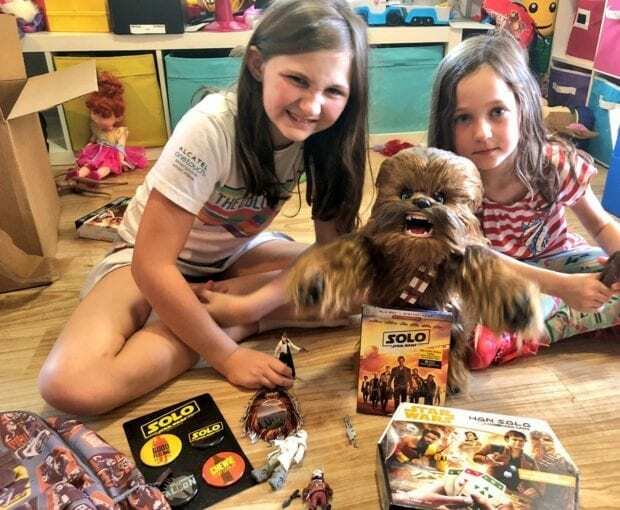 We are currently obsessed with all things Solo because we are huge Star Wars fans and we really love all these “A Star Wars Story” films that they are making. Rogue One was amazing! The girls have fallen in love with some of the great Solo gear and toys too. We received a fun back to school kit with a Solo backpack and locker accessories that my oldest stole promptly. We are all learning to play Sabacc which is the epic game that won Han the Millennium Falcon. If you haven't seen Solo: A Star Wars Story yet it is FILLED with so many amazing Easter Eggs, including one about the new Galaxy's Edge park at Disney Parks. 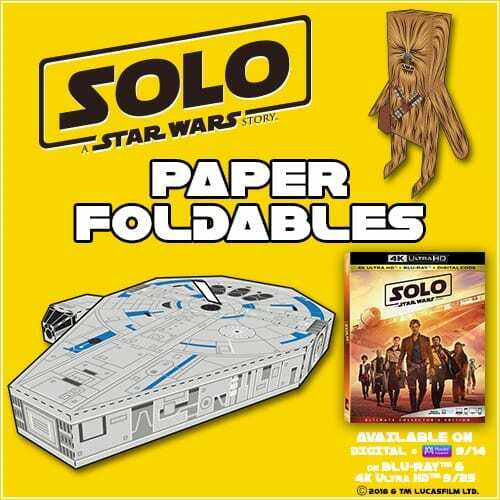 We also have some fun printables for you to make your own Chewbacca and Millennium Falcon! Click the images to download! Here are some great printables that you can enjoy with your kids. We just got the Star Wars: Millennium Falcon Book and Mega Model and I'll be doing a timelapse video over on our YouTube Channel soon. It comes with everything you need to make your own model built right into the book. The pieces pop out of the pages are made with a thick foam board that will stand up to the building process. I love that it has fun facts about the fastest ship in the galaxy.